Nationwide Children’s Staff Visits Local IHOP! 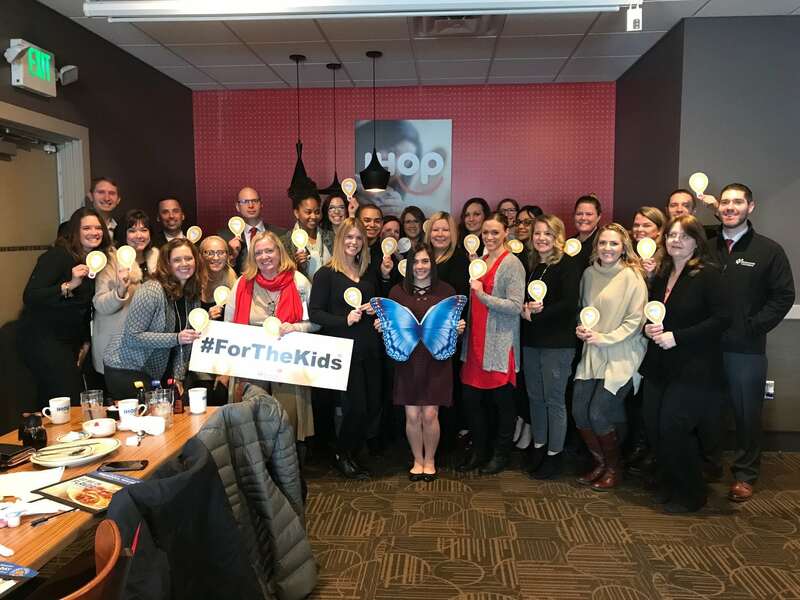 Thank you to one of our Central Ohio IHOP locations in Grove City for hosting Nationwide Children’s Hospital Foundation staff for breakfast! It was a wonderful way to kickoff the miracle balloon campaign. Stop by any Central Ohio IHOP from now through February 27 (National Pancake Day) to buy a miracle balloon and make a donation to your local Children’s Miracle Network Hospital, Nationwide Children’s! Next post: Meet Patient Champion Bo!